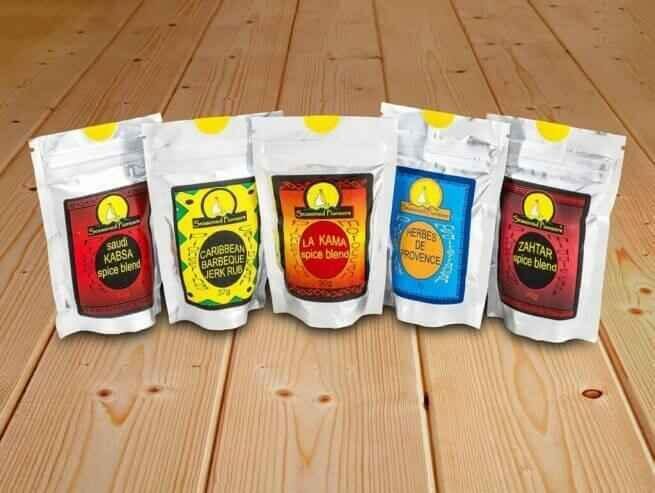 View cart “Seasoned Pioneers: ‘World Spice Blends, Rest of the World’ Collection” has been added to your cart. 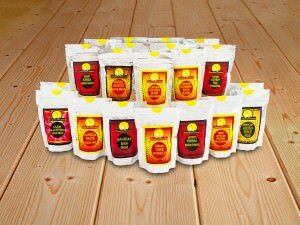 Featuring all five of the camping spice blends used in cookery writer Annie Bell’s great new book: ‘The Camping Cookbook’… available from 3rd June 2010 (** Buy all five together and save over £1.50 on normal rsp **). We’re heading off for some mid-range glamping this weekend i.e. our own tents but proper showers and flushing toilets. I’m armed with a copy of Annie Bell’s excellent “The Camping Cookbook”, and have made up a quantity of Camping Marinade and Camping Glaze to raise our Calor Gas and bbq food to a new level. I ordered Annie’s Camping Spice Kit from the Seasoned Pioneers and it arrived the next day. 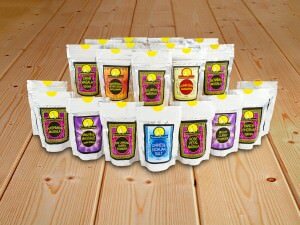 There are five packs of spice blends and rubs and all are great for blending with olive oil to use as marinades. 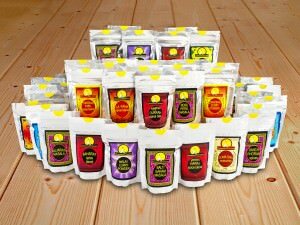 Annie has her own basic recipe for Camping Marinade and any of these blends can be added to it to add the appropriate twist; Middle Eastern, Moroccan, Provencal etc. 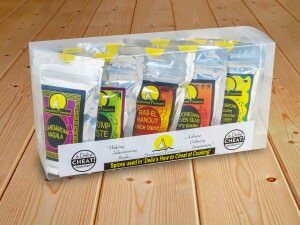 The small, lightweight resealable packets are very transportable and no fear of broken glass on the campsite. I’m looking forward to producing a lovely butterflied leg of lamb with La Kama Spice Blend in the marinade and will be sprinkling the Zahtar on the griddled pittas. Great service and selection from the Seasoned Pioneers.